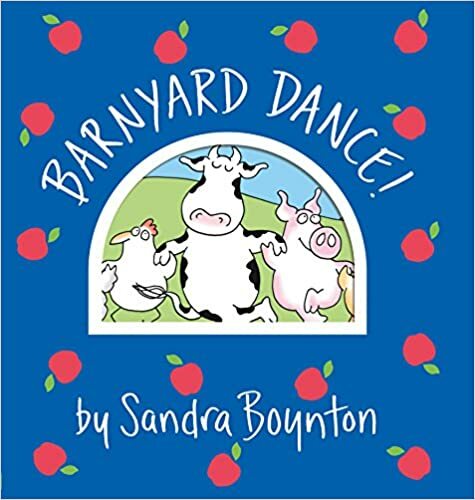 That's What She's Reading: Weekly Virtual Book Club for Kids: A Week of Farms! 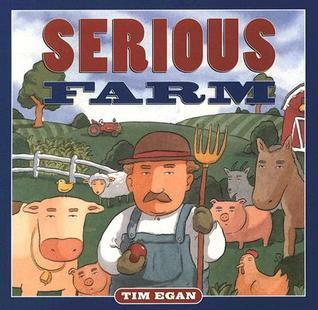 Weekly Virtual Book Club for Kids: A Week of Farms! 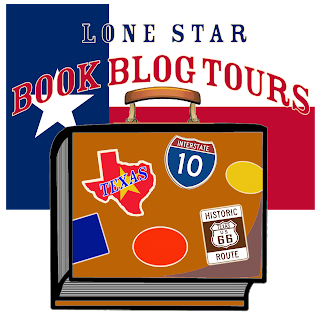 We wrapped up our fifth week of the Virtual Book Club for Kids with Little Blue Truck by Alice Schertle! 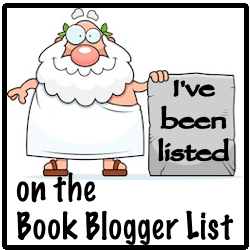 This book has been a favorite of ours since Maddox was itty bitty. 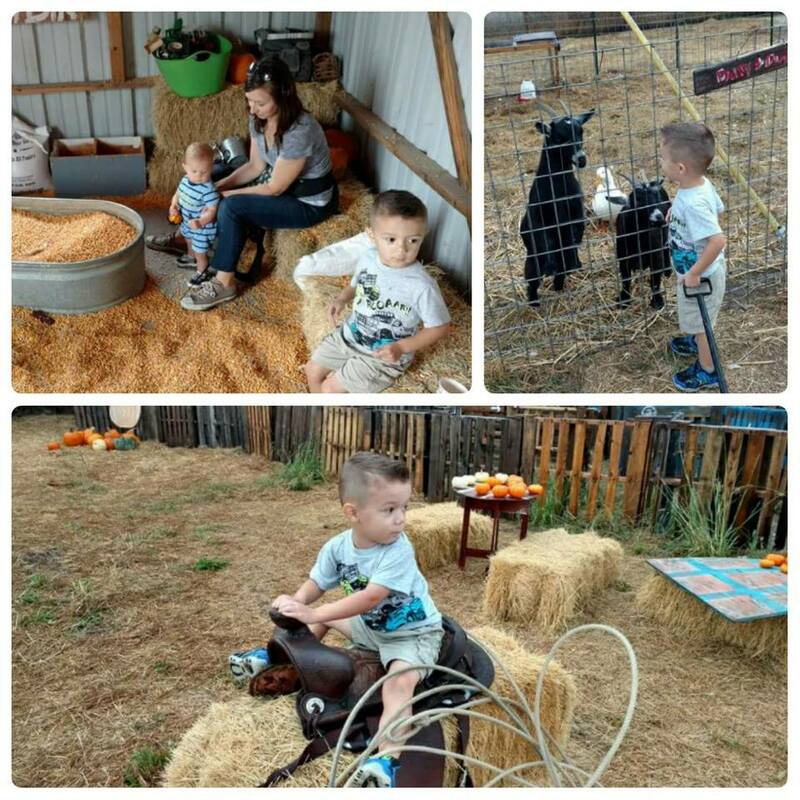 When he was about 18 months old, he loved everything about farms and we must have read that book alone at least a thousand times! Because we had previously gone through a farm phase, I was able to recycle some older activities, which definitely made the week easier considering I ended up with a bad sinus infection that once again put a damper in my energy level and interest in anything that I had initially planned. Allergies were also an issue for the boys, so we just played everything by ear. 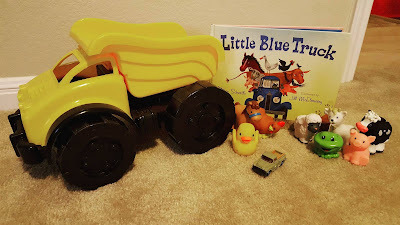 Little Blue Truck is an excellent picture book that is a must have for any child's library. Blue is a little truck happily greeting all of his animal friends as he travels down a sleepy country road. One day, a big busy dump truck zooms rudely past Blue, but soon finds himself stuck in some mud. Blue comes to his aid, but ends up stuck as well. 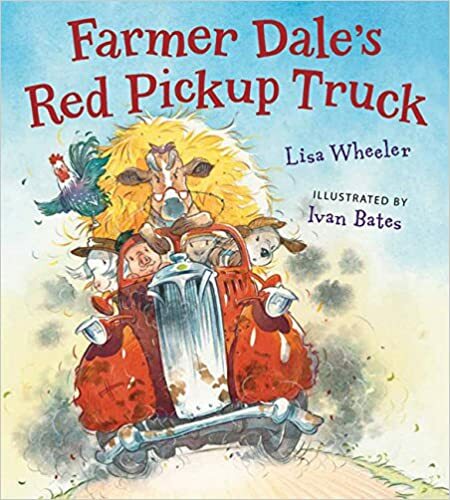 When he cries out for help, his pack of animal friends rush right over to help get him back on the road, ultimately teaching the self-important dump truck the value of friendship and the reward of helping others. The illustrations are quite expressive, but maintain a timeless appeal. 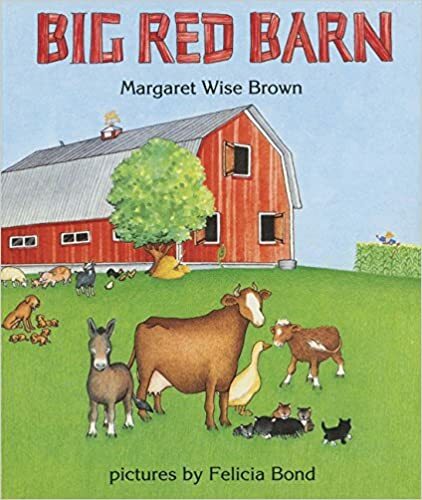 The rhyming text is very engaging and entertaining for preschoolers and older children, but simple enough for babies and toddlers and everyone will enjoy all of the vehicle and animal sounds that repeat throughout. This is a fantastic story to not only introduce but continue the discussion on what it means to be a good friend. 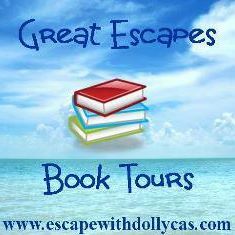 This book is available in both standard picture book format and as a board book. 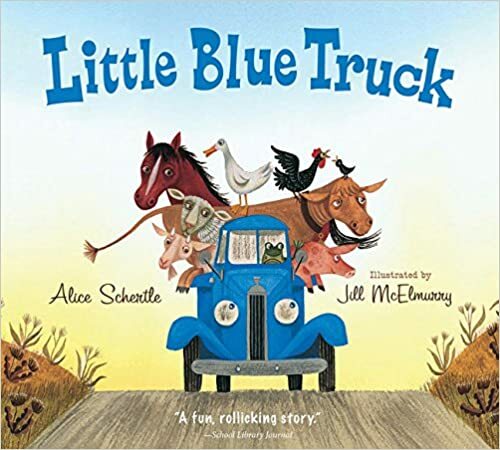 There are several other books featuring Blue and his friends, but this by far our absolute favorite, followed by Little Blue Truck's Christmas and Little Blue Truck's Halloween. We began the week simply enough with some retelling using Maddox's toys. We don't have a truck that could hold all of the animals together as they ride away in the story, so it was fun to watch Maddox tell his version so that the dump truck gave everyone a ride in the end. Unless we end up acquiring a truck big enough before we reuse this activity, I would like to make this truck from Growing Book by Book for the boys to play with. As I mentioned earlier, Maddox had previously loved all things farm, so I had a set of felt animals that I had made to go along with a story/song by Barefoot Books called Driving My Tractor. I came across the song on YouTube and we have gotten a lot of mileage out it over the years. I printed off some animal pictures and a tractor and then attached felt to the back so they would stick to the flannel board. I love singing the song and it was a quick and easy way to introduce and reinforce counting that was also fun for a toddler. It didn't take long for my enthusiasm to rub off on Maddox and he began singing right along with me. 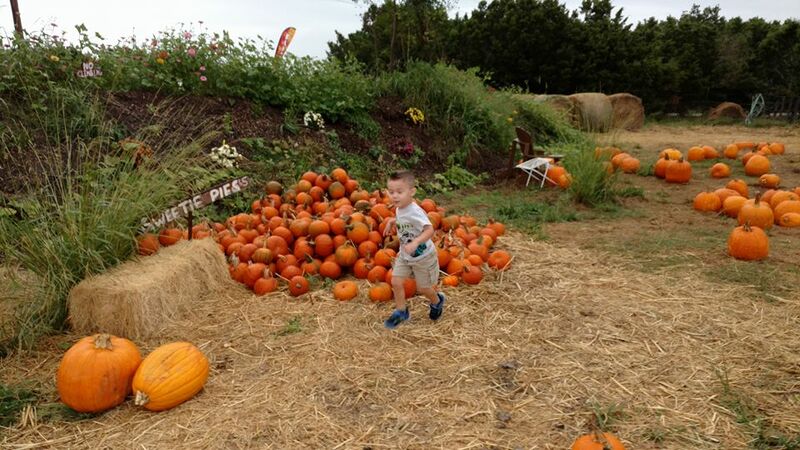 But just as I mentioned last week with the Five Little Pumpkins activity, he is now well beyond counting to five, so while he's outgrown its usefulness, he does still light up when he sees it come out because we have so much fun! 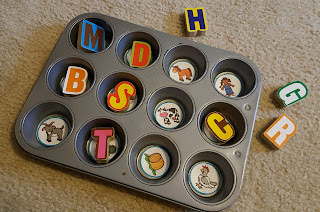 We continued working on beginning sounds using a farm themed muffin tin game and some alphabet puzzle pieces inspired from The Educator's Spin On It. 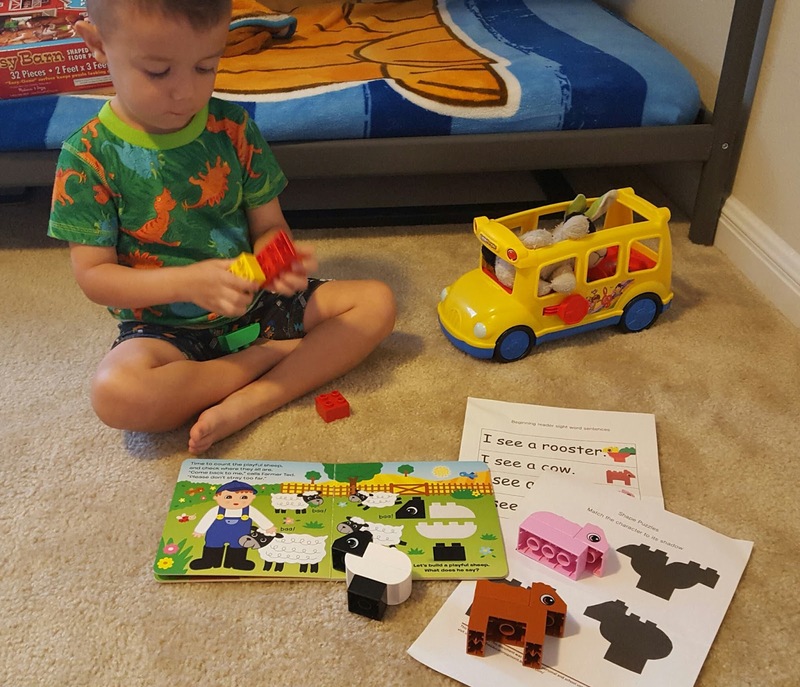 Another activity featured on her site included preschool pre-reading skills using Lego Duplo's Read and Build set of farm animals. 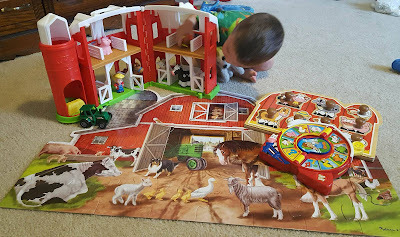 These sets came out around Maddox's first Christmas in 2013, so we've had it for quite a while and have used it extensively, but it was fun to see it featured on learning sites. There are other sets that are not as expensive and any of them would be great resources for learning, but also fun to play with. We also played a dice game called How Many Spots on the Cow? that was inspired by The Preschool Experiment. This is another one of those great activities that keeps the kids busy while you do something else. Minimal prep and little supervision. 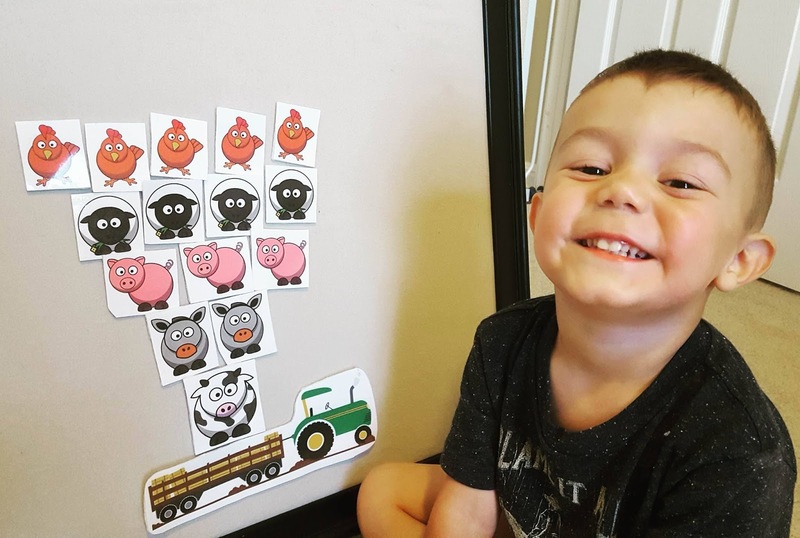 JDaniel4's Mom also had a similar game using a blue truck printable and small farm animals. Additionally, Fun-A-Day features a similar game using a pig and unifix cubes. We also ended up being able to go out to the pumpkin patch, which had a farm play center for kids and lots of chickens, goats, and even a donkey! 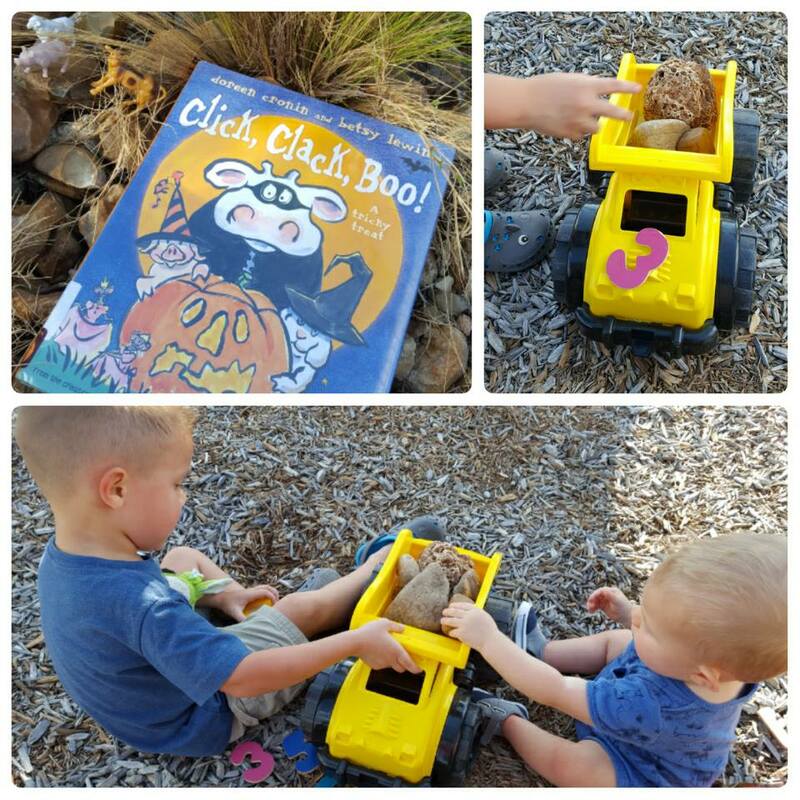 We also headed to the playground for some reading and math using our handy dandy dump truck and rocks! 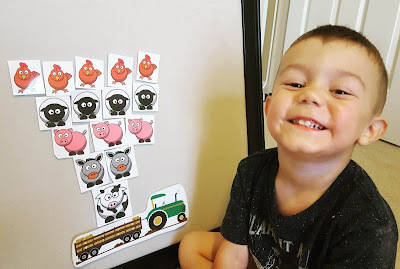 I also brought some great farm animal movement cards for a fun action game outdoors from Modern Preschool. What ultimately made this week super easy was that the boys have lots of open-ended farm toys that we could bring out for them to play with. This is a FANTASTIC resource for all things Little Blue Truck! She even includes an Alphabet Mud Painting baby activity to get those little ones involved as well, but we all know the older ones would absolutely love this as well! 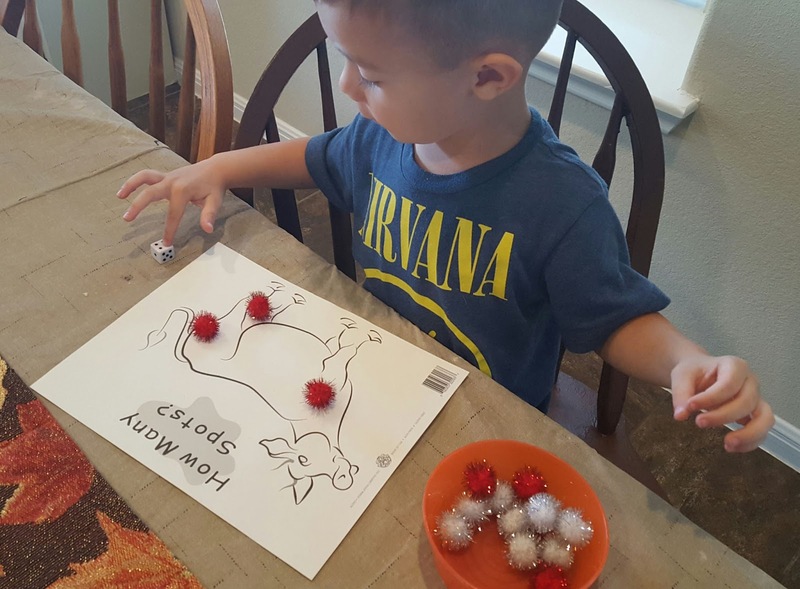 I actually love telling the The Little Red Hen using the flannel board. Years ago, I picked up these Little Folks pieces and it just makes the story more entertaining for the boys! What activities did you do? Please share in the comments because I love getting new ideas! Next up - spiders with The Very Busy Spider!